Today I have a review of the NYX Away We Glow Eyeshadow Palette. It comes with 10 eyeshadows that range from mattes and shimmers. There are two palette available from the collection and I have Hooked On Glow. This one has more rose gold/neutral shades to choose from. I was surprised at how much I enjoyed this palette. 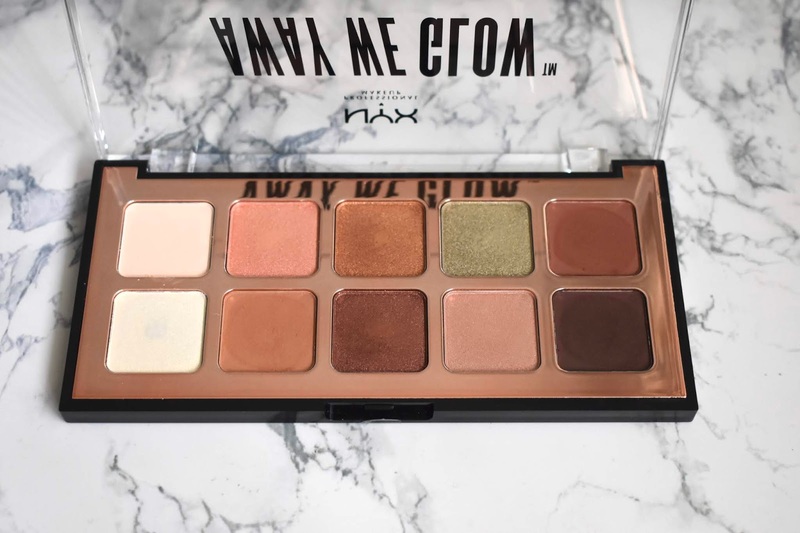 See swatches and more info about the NYX Away We Glow Palette below. NYX has done a good job all around on the formula of their eyeshadows. Some palettes I've tried have lacked, but I found this palette to be pigmented and the shadows stayed on with a good eyeshadow primer. There are some shades unique to me like the green shimmer shade and the white opal iridescent shades. All of the shadows were soft and easy to blend out. I didn't have much trouble with them being too powdery or having a lot of kickback. They are nice quality shadows and you get a good range of shades. 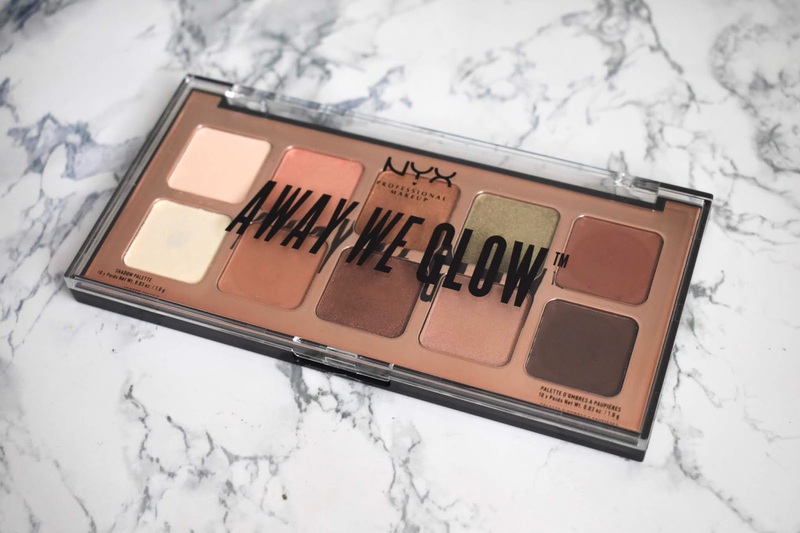 There has been mixed reviews on the NYX Cosmetics Away We Glow Eyeshadow Palette because of the price point. NYX Cosmetics used to be on the cheaper end and now they seem to be raising prices. This is $22 which is a high price point for a drugstore makeup palette. It personally does not bother me much because I tend to wait for sales/coupons to buy something like this that is higher priced. Even more so now since this is sold at ULTA, you can definitely find it on a good deal and pay half the price. Is this is something you would buy or is the price too high?